Research have long documented the negative effects consumers can endure after consuming alcohol or smoking cigarettes. 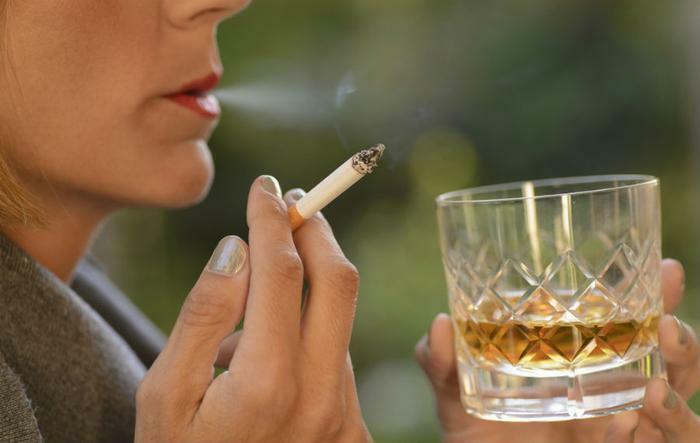 Now, researchers are exploring how joint use of alcohol and tobacco affects the body. According to a study conducted by researchers from the American Chemical Society, mice that were tested after exposure to both tobacco and alcohol were more likely to have neural damage in parts of the brain associated with addiction. The researchers, led by Alana Hansen, were putting themselves in the minds of consumers: many people who smoke cigarettes also consume alcohol, and vice versa. It was this thinking that led them to explore how joint use affects the brain. To put their theory into practice, the researchers exposed mice to either six cigarettes worth of tobacco smoke, two grams of alcohol, or both, twice a day for 28 days. They then examined the mice’s brains and compared the results with mice in a control group with exposure to no outside substances. The researchers were most interested in three specific areas of the brain: the frontal cortex, the hippocampus, and the striatum. The researchers found that the mice who received both tobacco smoke and alcohol had inflammation across all parts of the brain they analyzed, while the hippocampus was most susceptible to oxidative damage. Moreover, when the mice were exposed to both substances, it was difficult for them to maintain neurons -- or create new ones -- in both the frontal cortex and striatum. The results made it clear that there are risks for these substances separately, but consumers should also know that there are additional risks when they’re used simultaneously. “Our results showed an interaction between alcohol and tobacco smoke according to the area of the brain, suggesting an additional risk of neural damage in alcoholics who smoke,” the researchers wrote. A recent study conducted by researchers from Oregon State University found that consumers looking to quit smoking should also cut back on drinking alcohol. According to the study, reducing alcohol consumption was effective in helping consumers also cut back on their nicotine habits.